As rumbles started about the possibility of a Let’s Eat 2, I was…conflicted. I liked Let’s Eat. One might say I almost loved Let’s Eat. If there had been a little more of the relationship at the end? It totally would have ended up on my favorite dramas of the year list. But there wasn’t so there it sits..almost forgotten. Whoa! TV watchers certainly didn’t see this coming. 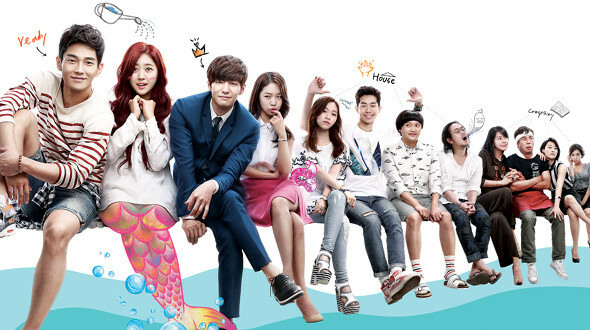 Today news was released that tvN cut Surplus Princess from 14 episodes down to 10. Adding insult to injury, the drama just aired episode 8, has episode 9 completed, which means they have all of one episode, a mere 50ish minutes to clear up all the storylines and end in less than a WTF way. I just don’t see how that is going to happen. The Mermaid Cometh, Are We Ready? Oh tvN and your weirdo throw off dramas. Usually–you know me–giant fan of the cable dramas. 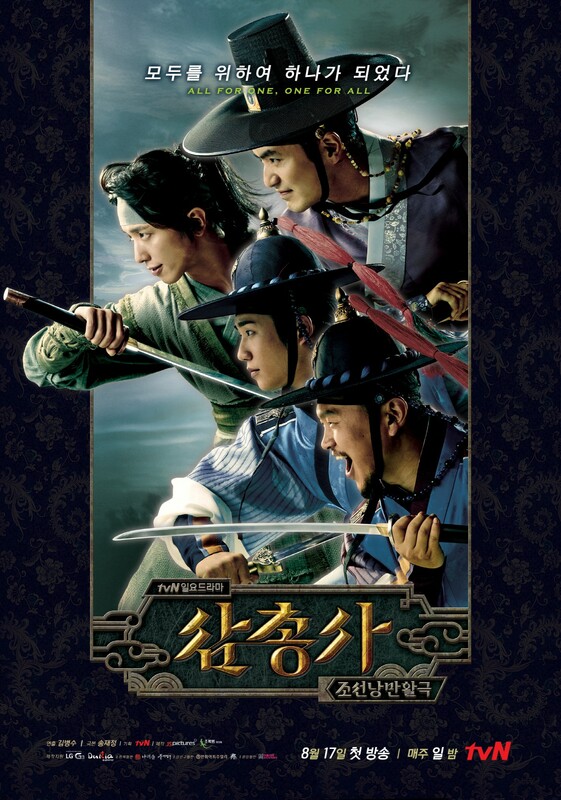 Usually their dramas are interesting, unique, and a little more real. And then… they throw off those one weirdo dramas. Remember Nail Shop Paris? Girl pretending to be a boy to infiltrate a magical issue solving nail shop employed only by boys? Standard Kdrama fare, right? Well throw in some last minute, out of left field, guhimo action, and you’ve got a ‘what the?’ drama. Holy smokes! What a turn around. Just a few days ago, I really couldn’t wait for the new drama Trot Lovers. 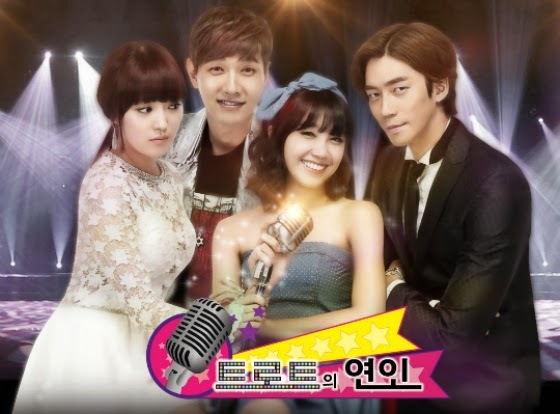 Cute concept, I love Jung Eun Ji, and I’m interested in seeing Ji Hyun Woo in his first post post army drama. Then the teaser came out. And it hit me like a dead rock. (Um…can a rock be dead? Lead? A Lead rock? Whatever it was, it wasn’t good.) I’m not even sure if I can tell you exactly what it is about it that turned me off. Uninteresting? Stuffy? Run of the mill? Whatever it was, it was like a switch that flipped from ‘woot!’ to ‘meh’. On the other hand, I had no real interest in the new Seo In Guk tvN drama, High School King of Savy as I’m not a huge high school drama fan, didn’t really know much about the plot, and, frankly, the poster was a big turn off. Seriously, what is this saying besides ‘I’m schmarmy’? I currently have an affinity for dramas with strong women and with a poster with two women actually hanging off him, it didn’t seem to be what I was looking for. However. Then I saw these teasers. And I’m hooked. Seriously, how cute are these teasers?? I know the dancing probably won’t be a part of the drama itself, but it was just quirky enough to capture my attention, and my imagination. So he’s pretending to be his older brother who he looks JUST LIKE, while brother is off trying to get revenge on the person or persons responsible for the deaths of their parents. Who is the girl in the promo? I’m guessing happless/spunky office girl. So a noona romance? Except she doesn’t know she’s a noona? Except he’s still in high school–which gives me a case of the squidgies. Whatever it is, I now can’t wait for this drama to start, and luckily it begins next week. I think it’s funny that the former lead couple of Answer Me 1997 will now be in competing dramas. Unfortunately, since Jung Eun Ji’s Trot Lovers is on a main network, and Seo In Guk is on cable, she’ll win the ratings war but tvN doesn’t require huge numbers to be considered a success. I don’t think I’ve officially given up on Trot Lovers. I’ll cross my fingers that they will release a newer, better teaser. something that will bring me back into the fold. 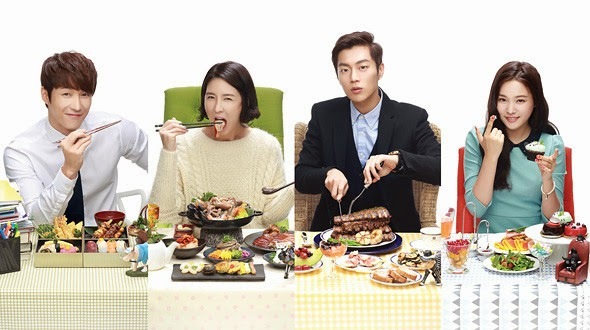 tvN announced that they are in the beginning stages of planning a second season of Let’s Eat. Now,Let’s Eat is a drama I actually watched from this year–on Cherry Cordial’s incessant urging–and she was right. The character drama wtih no real baddie was totally in my wheelhouse. I especially loved the everyman hero, as we don’t get that enough in Kdrama. Three Seasons of Jung Yung Hwa? Jung Yong Hwa is currently in talks to join the upcoming TvN series, Three Musketeers. Well, good on him I guess. But I wonder, does he have the acting chops to do a saeguk? Even a fusion saeguk? Don’t get me wrong. I like Jung Yong Hwa. Love his band, CNBlue. I even think he’s getting a lot better as an actor. From all accounts he did really well his last drama Marry Him If You Dare (or Mi Rae’s Choice) or at least he was not the reason why I stopped watching the show. I think, if he really wants to continue acting, it wouldn’t be the worst thing in the world. When I did the show intro for this post, I was so excited to rewatch. Answer me 1997. While I knew I didn’t love it as much as others do (as it is one of those shows which has received an almost instant cultish following.) I did remember liking it a lot. 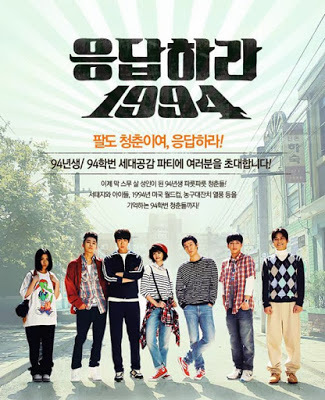 In many ways, Answer Me 1997 is unlike other kdramas (thank you cable networks) and is thereby refreshing and deserves to stand out against the others. I literally can not stop watching teasers (and for some reason I always want to capitalize Teaser. So, I was just saying no more than like an hour ago what a good teaser can do for a drama. (Sadly,Gap Dong’s teaser was a little lack-luster.) 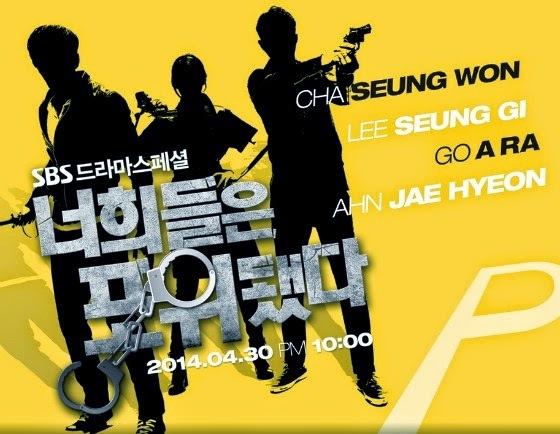 And I couldn’t be more right–and You’re All Surrounded proves it.